Were you wrongly denied unemployment benefits? If so, you may want to consider filing an appeal. Read below to find out more about deadlines, presenting evidence, and what you should expect during the appeals process. I was turned down for benefits, and think that the state was wrong in determining that I was ineligible. Can I appeal the state’s determination? What if my employers disagrees with the decision to award me benefits? Can my employer appeal? Do I need a lawyer to represent me in an unemployment appeal? How should I prepare for an unemployment appeal? What if I need an interpreter or other special accommodation? What evidence can I present at an appeal hearing? How should I conduct myself at the hearing? What if I miss the deadline to file my appeal? What should I do if i cannot attend the hearing? What happens if I win my appeal? What happens if I lose my appeal? Once the appeal has been issued, is there any right to appeal further if I am unhappy with the result? 1. I was turned down for benefits, and think that the state was wrong in determining that I was ineligible. Can I appeal the state’s determination? Yes, but do so as quickly as possible. Once you receive your denial in the mail, you typically have between 10 and 30 days to request an appeal. Each state has its own procedure, so after your hearing is scheduled you may want to contact your local unemployment office or state agency for specific information regarding the appeal process. Remember to continue claiming weekly benefits for any week that you are unemployed during this time. 2. What if my employers disagrees with the decision to award me benefits? Can my employer appeal? The appeals process generally operates the same way, whether it is initiated by you after a denial of benefits, or by your employer after you have been awarded benefits. There are many reasons why an employer may appeal the grant of unemployment benefits. Currently, employers pay taxes that contribute to unemployment benefits. Their tax rates are dependent upon the number of employees filing claims. An employer may try to minimize the amount of taxes they have to pay by appealing every determination they receive. An employer may also simply disagree that you are eligible for benefits. They may claim that you quit without good cause, engaged in misconduct, or violated workplace policies. Fortunately, you will be able to present witnesses and evidence at the hearing to prove your employer wrong. 3. Do I need a lawyer to represent me in an unemployment appeal? You can either hire an attorney or represent yourself in the hearing. The process is designed for non-lawyers, so don’t be intimidated if you don’t have a lawyer. Every day thousands of unemployed workers win UI benefit appeals without the benefit of a lawyer. However, an attorney can help guide you through the appeal process and provide peace of mind. There may also be low-cost legal aid available to you in your area. If your employer is appealing (and has a practice of appealing all or most unemployment claims), then be prepared for your employer to have a lawyer or to use an agency which specializes in opposing unemployment claims. 4. How should I prepare for an unemployment appeal? Remember that this hearing is your only chance to present your side of the case, so you will want to prepare an organized presentation of why the state was wrong to deny you benefits. Do your best to educate yourself on your state’s unemployment eligibility requirements and gather evidence to persuasively explain your situation. Pay special attention to deadlines. If you fail to appear at a hearing, you will likely lose your case. Before the appeals hearing you have a chance to review your file and unemployment notice regarding why you were denied benefits. Be prepared to counter your employer’s allegations, whatever they may be. For example, it may be that you didn’t commit the act of misconduct for which you are charged or that you have an reason why it was a mistake, not intentional. You might need to demonstrate why you had good reason to quit or why you actually didn’t quit at all but were told that you were being fired. Whatever the theory, you need to be able to explain it clearly and develop it with evidence. Some states have user-friendly explanations of the unemployment law. Use those resources to identify what you need to prove to be eligible for benefits. Links to information regarding legal rules and resources are below. 5. What if I need an interpreter or other special accommodation? If you require an accommodation during the hearing, contact your office of unemployment appeals right away and let them know. You should make this request early so that the office has time to reasonably accommodate you. 6. What evidence can I present at an appeal hearing? Evidence typically presented at an appeal hearing includes oral testimony from you and from witnesses, and documentation such as letters, business records, phone bills, etc. that you can use to substantiate your version of events. If this evidence is in your employer’s possession, you can ask the administrative law judge to subpoena the records. A judge can also issue a subpoena to an individual witness to require them to attend the hearing and testify. You can bring notes with you to the hearing. You will want to bring multiple copies of any documents that you want to present as evidence to be able to give to the judge and the other side. 7. How should I conduct myself at the hearing? Be sure to dress and behave professionally at all times. Although hearings are naturally adversarial, do your best to remain calm and polite when speaking to witnesses, your employer, and the judge. Judges are concerned with the facts of the case, so do not view the hearing as an opportunity to seek revenge or insult your former employer by being rude or argumentative. Simply use your knowledge of the situation and any evidence you have to show that your version is supported by the facts. Both you and your employer will have an opportunity to present your respective side of the case. The judge will ask you questions, which you should answer truthfully. If there is anything that you believe is important that the judge leaves out, you should respectfully ask for the opportunity to testify about it. After you testify, you will have the opportunity to ask questions of the other side and ultimately to make a closing statement of why you should receive unemployment benefits. During your closing statement, recap the main facts of your argument and remember to be concise. 9. What if I miss the deadline to file my appeal? Unemployment agencies strictly enforce their deadlines. If you have missed the deadline, call your unemployment office immediately to see if you can still request a hearing. Unfortunately, unless you have a very good reason why you failed to do so, there is not much you can do. This is why it is very important to promptly open every piece of mail that you receive regarding your unemployment and to review it closely for any mention of hearing or appeal rights. Notice of decision and right to appeal arrive after hearing date. 10. What should I do if i cannot attend the hearing? If you cannot attend the hearing you should immediately contact the hearing department (generally by phone) to find out how to request an adjournment (rescheduling) of your hearing. Make sure to follow up on any such request by confirming it in writing (and to retain a copy) in order to make a paper record. You should explain why you are unable to attend and ask for it to be rescheduled. In some states (e.g. New York), the agency may deny your request for an adjournment, but will still allow you to request a new hearing after the first hearing goes forward without you. 11. What happens if I win my appeal? If you win the appeal, you will be entitled to collect benefits in the future. You will also be entitled to collect any benefits that you certified for but were not paid following the initial determination of ineligibility as long as you continued filing weekly claims during your appeal. Your employer or the state may still appeal the new decision to a higher level. Watch for any correspondence from the employer or the unemployment agency. You may be required to submit a written letter explaining why the appeal decision was correct. 12. What happens if I lose my appeal? If you lose at your hearing, you can appeal to a higher level of review. If you decide not to appeal the decision and are found ineligible for benefits, you won’t be eligible again until after you’ve earned a certain amount of money from a future job. You may also be required to repay benefits that you’ve received. Alternatively, the decision may find that you were ineligible for a certain period of time but allow you to collect benefits after that period. If you have questions, call the unemployment agency to get clarification. 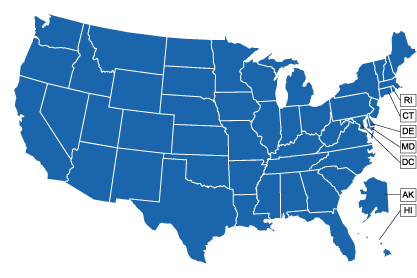 Most states provide a written decision that explains the basis of the decision and the effect of the decision. It is important to read it closely to determine the exact implications for your unemployment insurance. 13. Once the appeal has been issued, is there any right to appeal further if I am unhappy with the result? Yes. Most states provide multiple levels of review of unemployment decisions, with the final decisions going to an appeals court. If you lose the first round appeal or hearing, you can appeal that decision to an appeal board that is part of the same unemployment agency. Read the decision closely for information on how to appeal and follow the rules and deadlines closely. Most appeals to an appeal board involve only a written submission, rather than any in-person testimony. You must explain why you believe that the judge’s decision was incorrect, so be specific and point to clear errors in the facts or the law.